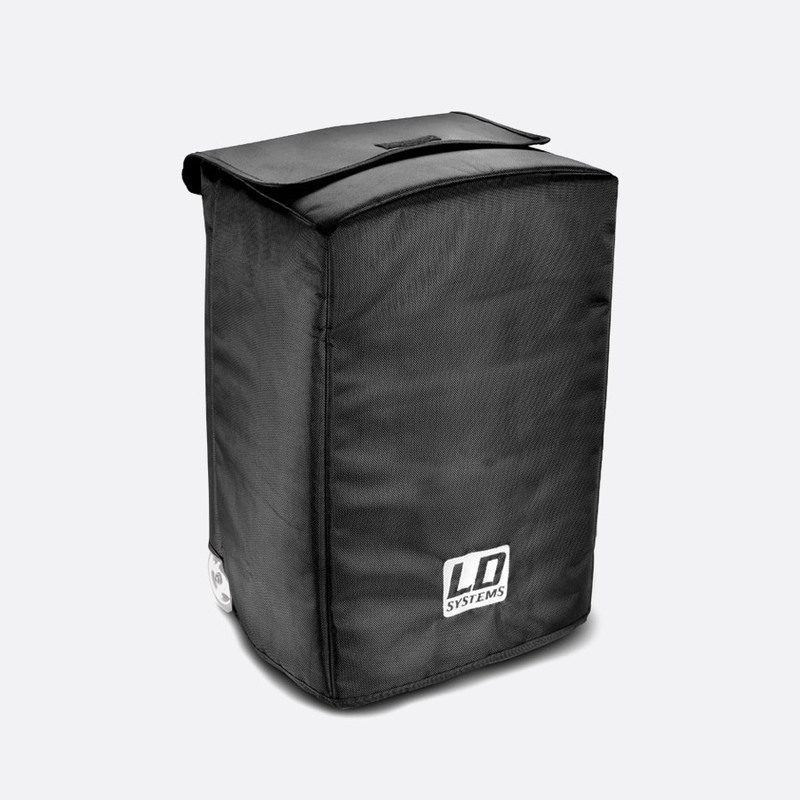 LD Systems Roadbuddy is a range of portable, battery powered with either handheld or headworn wireless transmitter and integrated wireless receiver. 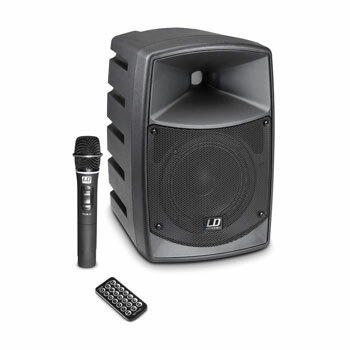 This range include MP3, WAV and WMA playback via wired connection, Bluetooth, USB media, or inserted SD card. 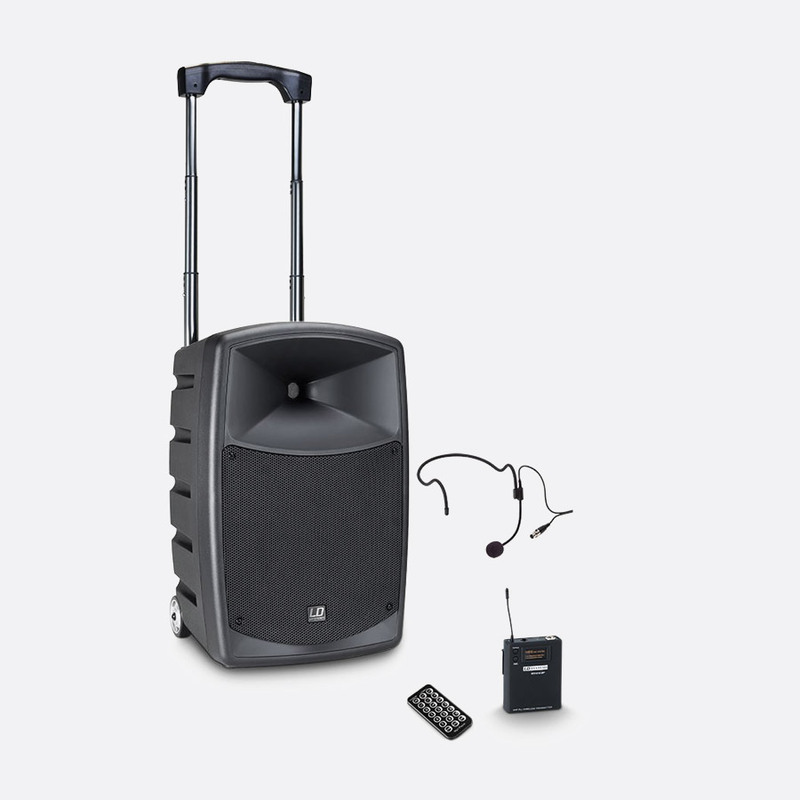 This Class D 50W RMS, 200W peak output, portable, AC/battery powered PA system has an integrated wireless receiver and option of handheld or headworn transmitter. This single channel wireless system operates on 854.900MHz for licence exempt operation (country dependant). The Roadbuddy 6 PA also has a built in media player that can read, support and play MP3, WAV and WMA files (FAT16/32), directly from the SD card or USB slots on the rear panel, or stream directly from a connected Bluetooth device within a range of 10m. An operation time of up to 6 hours can be achieved with full charge, however the unit will also perform, and re-charge, when using with AC power. 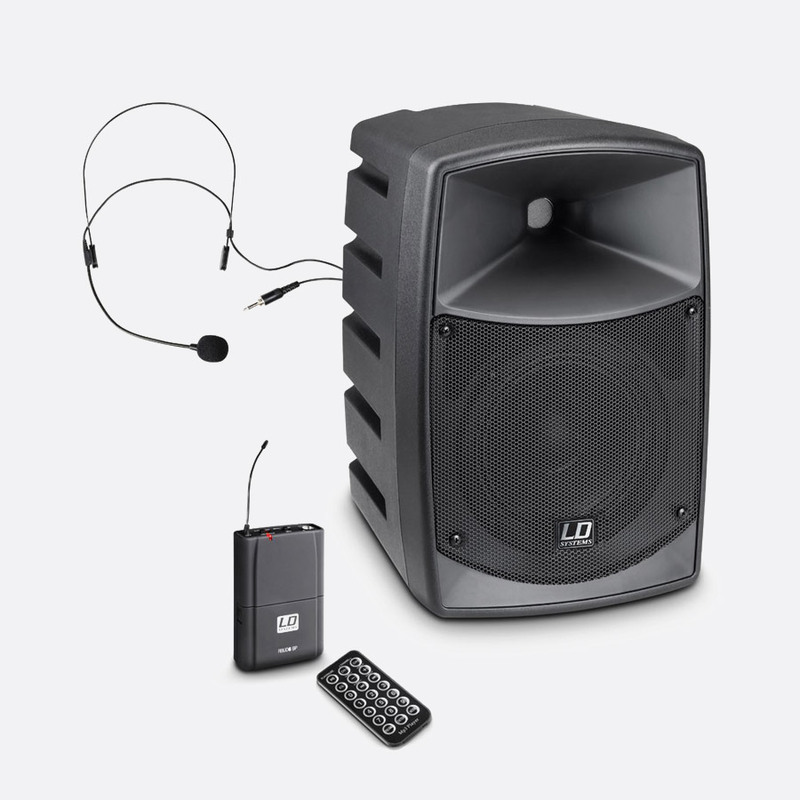 In addition to the inbuilt UHF receiver, there are three input channels available on this 2-way (6-inch/1-inch) PA. Channels 1 and 2 can be used as microphone or line by using the 6.3mm Jack/XLR combination inputs and the line/mic switch. Channel 3 can be used to connect a stereo device such as CD player, smart phone or media playing device, with input options of single stereo 3.5mm jack socket or dual RCA phono socket inputs. A switch situated above the channel inputs allow the user to switch between the auxiliary source or the internal MP3 media player. A single unbalanced 6.3mm jack socket allows the connection of line input or line output. An input signal is ‘fed directly ahead of the power amplifier’, whilst a line output is the sum of the Roadbuddy 6’s mixer channels. Dimensions (HxWxD): 377 x 245 x 377mm. Weight: 5.6kg. 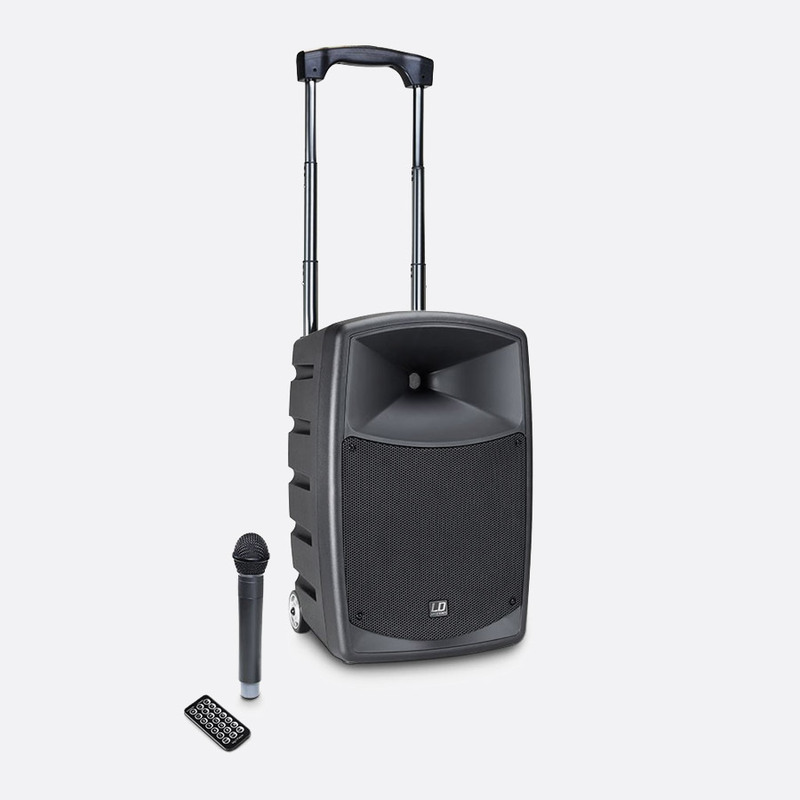 This is a full-range, portable, AC/battery powered, PA system that includes a 16-channel handheld wireless microphone with automatic tuning between the 863-865 MHz range. The Roadbuddy 10 PA also has a built in media player that can read, support and play MP3, WAV and WMA files (FAT16/32), directly from the SD card or USB slots on the rear panel, or stream directly from a connected Bluetooth device within a range of 10m. There are three input channels available in addition to the inbuilt UHF receiver; Channel 1 can be used to connect a stereo device such as CD player, smart phone or media playing device, with input options of single stereo 3.5mm jack socket or dual RCA phono socket inputs. A switch situated above the channel inputs allow the user to switch between the auxiliary source or the internal MP3 media player. 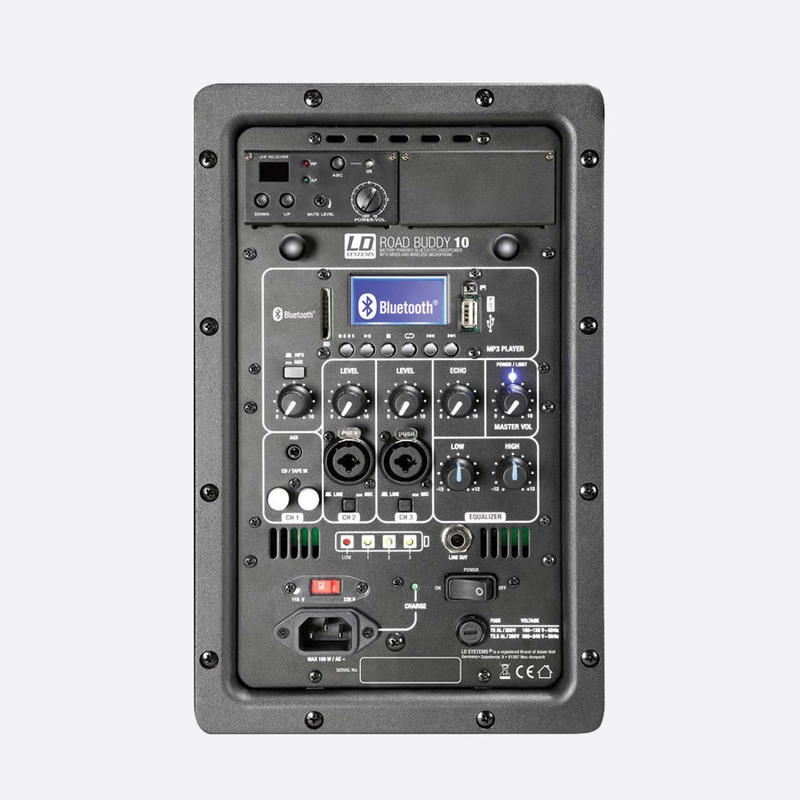 Channels 2 and 3 can be used as microphone or line by using the 6.3mm Jack/XLR combination inputs and the line/mic switch, while an ‘Echo’ control allows the global application of effect to the wireless microphone channel and input channels 2 and 3. A 6.3mm jack line out socket is provided to send the global signal, controlled by the master volume control, to a separate amplified speaker for additional dispersion. Powered by an internal Class D amplifier 2-way Roadbuddy 10 can produce 120W RMS (480W peak) for up to 8 hours. 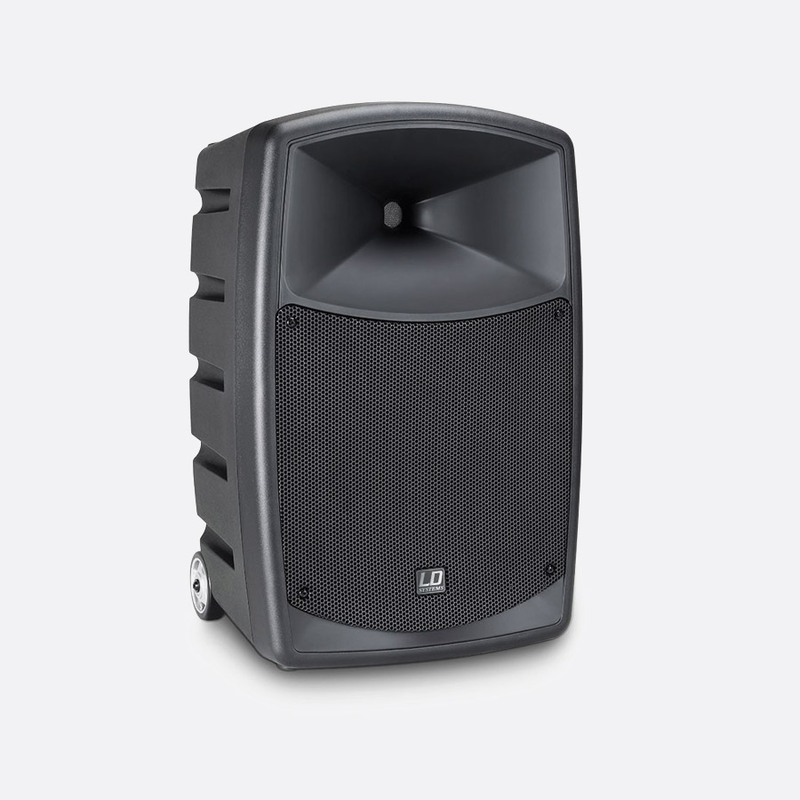 The 10-inch woofer and 1-inch high-frequency compression-driver produce a frequency response of 55Hz to 20kHz, and two-band equalisation gives the user the option of fine-tuning the output signal. A 4-stage LED display shows the remaining internal battery life. Dimensions (HxWxD): 525 x 415 x 328mm. Weight: 16.5kg.